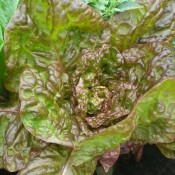 Butterhead, Bibb or Boston is smaller, looser-headed lettuce with tender, delicately flavoured leaves that bruise easily. Iceberg or crisphead lettuce has a firm head that reaches about six inches in diameter. It has great texture and taste. 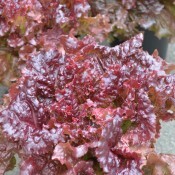 Looseleaf (leaf lettuce) does not form a head, but grows in a circular patch. Its leaves are tender and may be smooth or crinkled, ruffled, or curled. They range from green and yellowish green to reddish and bronze. Romaine or Cos lettuce has long, stiff leaves with a crisp, coarse texture; it cooks well because the leaves won’t dissolve. Romaine lettuce is the sweetest of all lettuce. Great salads start with freshly picked lettuce. 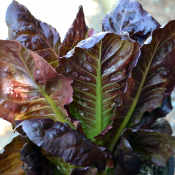 Plant a mixture of different lettuce and supplement it with a range of spicy greens such as radicchio as well as vitamin-rich Swiss chard. 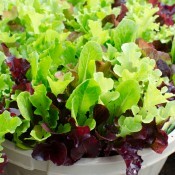 Lettuce is easy to grow and can be grown in small spaces and in containers. They can be tucked between and under taller vegetables such as tomatoes, corn, and trellised pole beans. 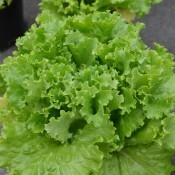 Lettuce is a cool weather crop and may bolt or develop a bitter taste in high temperatures and during long days. To counteract this, choose heat-tolerant and bolt-resistant varieties and plant in partial shade. All varieties of Tried & True® Edibles lettuce are slow to bolt. For tender leaves, keep the soil moist. Also, side-dress with mulch to keep the soil cool, moist and to control weeds. Beets, brassicas (i.e. brussels sprouts, cabbage, kale, etc. ), carrots, radishes, and strawberries all make great companions to lettuce. Also, chives and garlic are excellent companions because they deter aphids. Most lettuce are good sources of iron and other trace elements; low in calories and high in fiber. They are fair sources of vitamin A and C. Once cup of most types of lettuce has about 10 calories and a whole head of iceberg lettuce has 70 calories. Pick leaves from the outside edges of plants. The plants will continue producing new leaves from the center. 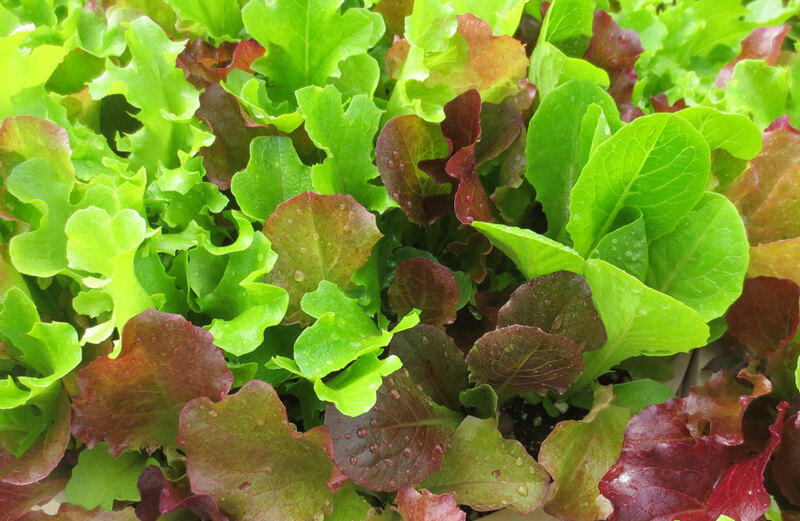 Begin harvesting baby lettuce about two to three weeks after setting out transplants. Romaine lettuce forms its characteristic thick mid-rib before harvest; at full size, 8 – 12 inches (20 – 30cm), it forms an upright leafy head. Lettuce is best eaten just after harvesting. To store lettuce, refrigerate it unwashed in plastic bags for a few days. Add colour, flavour and texture to your salads with this gourmet, tasty assortment of salad leaves and old favourites. Good for baby leaf production and container gardening. Parris Island was introduced in 1952 and continues to be favourite amongst lettuce lovers. 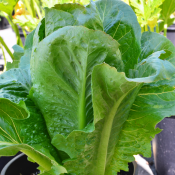 This romaine has upright heads of large thick medium-green slightly rumpled leaves with creamy white hearts. It is sweet, crisp and flavourful. This romaine has superior uniformity and slow to bolt.